1. What Zila products are being sold to DenMat?  DenMat acquired all of the dental products previously sold by Zila. These include the Rotadent power toothbrush, NV and SL3 soft-tissue diode lasers, Atridox periodontal antibiotic, Pro-Select Platinum scaler, and ViziLite Tblue oral cancer screening system. When will the transition to DenMat begin and how long is it expected to last?  Responsibility for the manufacturing, sale, and distribution of these products will transition from Zila to DenMat by March 19, 2014. On or before March 19, all sales and customer service functions will remain with Zila.  You will be able to purchase all of Zila’s products exclusively from DenMat after March 19 by calling 1-800-4DENMAT (1-800-433-6628) or by visiting www.denmat.com. As a current Zila customer, how will I know which company to contact when I need to place my next order?  Product orders will be managed by Zila through March 19. After March 19, any calls into Zila’s phone lines will be redirected to DenMat.  Zila’s website and online store will also be redirected to www.denmat.com after March 19. As a current DenMat customer, when can I start ordering Zila products through DenMat? When will my DenMat field sales representative be able to visit my office to demonstrate Zila products?  Zila product orders will be managed by Zila through March 19. If you would like to purchase Zila product prior to March 19, please contact Zila at 1-800-228-5595 or visit www.zila.com.  After March 19, you can order Zila products through DenMat representatives or via DenMat’s online store at www.denmat.com. As a current Zila customer who is new to DenMat, will I need to set up a new account with DenMat or will my Zila account be transferred?  An account will automatically be set up in DenMat’s system for you by March 19, but the account identification number will be different than your current Zila account number.  DenMat will mail you a letter in mid-March that contains your new account number, along with DenMat’s terms and conditions for warranties and returns.  You can also call a DenMat sales representative after March 19 at 1-800-4DENMAT (1-800-433- 6628) to obtain your new account number. How long can I continue placing product orders on Zila’s website or over the phone with Zila representatives?  Orders will not be accepted by Zila after March 19th on the website or over the phone. What do I need to do in order to place my first order on denmat.com?  You will receive additional communication from DenMat on or around March 19 with instructions on how to obtain your denmat.com login credentials.  You can also call DenMat at 1-800-4DENMAT (1-800-433-6628) to set up your online account with a Customer Care Representative any time after March 19. What effect will this change have on the delivery timing of products that I have currently on order with Zila? What about those ordered in the near future?  Orders that were placed with Zila on or before March 19th will be shipped from Zila according to Zila’s standard shipping policy.  Orders placed with DenMat after March 19th will ship via ground from Lompoc, CA. 2-day and overnight delivery options are also available. Which company should I contact for issues and returns on products that I had previously purchased from Zila? If I have a warranty issue or return already in progress, how will this be handled?  For warranty claims or returns initiated on or before March 19th, Zila’s normal procedures should be followed.  To initiate a warranty claim or return after March 19th, contact DenMat Customer Care at 1-800- 4DENMAT (1-800-433-6628). What if I have an account balance or a due amount to Zila?  Any balance due to Zila can be paid directly to Zila prior to March 19.  DenMat’s Accounts Receivable Department can also be reached by calling 1-800-4DENMAT (1- 800-433-6628) and selecting option 5 on the call menu, or by emailing ar@denmat.com. As a current Zila customer, how long will my Zila representative be available if I need a sales representative to visit my office for technical support or service? Will my Zila field representative be replaced by a DenMat representative?  Your current Zila sales representative will continue supporting your office through March 19th.  After March 19th, a DenMat sales representative will step in to support you and your staff. Will Zila’s return and warranty terms and conditions be honored by DenMat, or will the products that I previously purchased from Zila be transferred to DenMat’s terms and conditions? What are DenMat’s warranty and return terms and conditions?  DenMat will honor Zila’s warranty and return policies on all products sold by Zila on or before March 19th.  All Zila products purchased from DenMat after March 19th will be subject to DenMat’s warranty and return terms and conditions.  A copy of DenMat’s warranty and return terms and conditions will be mailed to you on or around March 19th. Will the price of any of the Zila products change in the near future?  DenMat will continue selling all Zila products at the same prices, subject to DenMat’s customary price review from time-to-time. 14. Will the current Zila part numbers (SKUS) remain the same or will they be changed to a DenMat numbering system? If a change is made, how will I be notified?  DenMat will have new part numbers for all Zila products by March 19, 2014. Your DenMat sales representative will provide you with a new price list that has both Zila’s old part numbers and the new DenMat numbers for reference. 15. If I have been purchasing products from Zila at a discounted price due to my status as a Group Practice, Speaker, University, or other VIP group, will these discounts be honored by DenMat?  Yes, DenMat will continue honoring Zila’s discount levels, subject to DenMat’s customary price review from time-to-time. 16. Will any of Zila’s products be discontinued or changed? If so, how much notice will be given before a product is changed or discontinued?  Most, if not all, of Zila’s products will continue to be available. Zen Cordless Prophy is the only product that is scheduled to be discontinued, although Zen angles will continue to be available.  Your DenMat sales representative will advise you of either product changes or discontinuations. highest levels of product quality, we make and assemble most of our products in our 100,000 square foot world headquarters on the Central Coast of California. 17. Does DenMat plan to continue offering Zila’s continuing education courses on Soft Tissue Management?  Yes, DenMat recognizes how critical continuing education is to the advancement of proper soft tissue management and oral hygiene. In fact, we think it’s so important that we plan to give the current STM course a complete overhaul to upgrade the quality of the content by this summer. 18. I am a DenMat LSDP member. Can I get Zila products for free as part of my membership benefits?  Zila products will not immediately be included in the LSDP benefits package. However, we are planning to include some Zila products as part of LSDP Free by mid-2014.  Any inclusion of Zila products in LSDP will be announced to you in the monthly LSDP Insider newsletter, and by your DenMat sales representative. Since mid-January I've been fortunate enough to be using the newest visual caries detection device on the market, the Dexis CariVu. One of the really great things about what I get to do as Technology Editor at Dental Products Report is getting the chance to see things before they are announced as available to the industry. It's a lot of fun to these types of things. Sometimes I get to see things in the very beginning stages and others, like this time with CariVu, I get to see a completed product and evaluate that it performs as advertised. The CariVu is one of those products that I got a chance to evaluate and I was so impressed by it that it became the next article that I wrote for Dental Products Report. Often times, when I get a product in for evaluation, I'll tweet when the product comes in or even mention that I'm evaluating here on the blog. However, that's usually when the product is readily available in the marketplace. For products that are awaiting launch, I prefer to not mention them so as not to confuse people on the product's availability. I can tell you that I've been very impressed with the CariVu and what it does. It is a unique transillumination device that has incredible integration with the Dexis software. The company press release is below and it does a great job of describing the device. For even more info *and* my evaluation, see the March issue of Dental Products Report. Combining a unique technology with ease-of-use, the new DEXIS® CariVuTM is a valuable tool in the dentist’s diagnostic armamentarium. Hatfield, PA (February 20, 2014) DEXIS is pleased to announce the introduction of CariVu, a compact, portable caries detection device that uses unique, patented transillumination technology. This exciting new product provides the ability to easily detect a range of carious lesions (occlusal, interproximal, secondary/recurrent,) and cracks, and yields an easily interpreted image that is stored with the patient’s other images. Incorporating easily into current workflow, CariVu serves as a valuable adjunct tool for the identification of tooth decay when used with clinical and radiographic examinations. CariVu embodies a modern version of transillumination technology that has been evolving for over a decade and has been shown, in some cases, to both find lesions earlier than with X-ray, as well as represent the lesion’s structure very accurately. Also, design improvements have led to a product where the light source and other electronics needed for image capture are housed sleekly in a light-weight handpiece that can interact with the DEXIS software. The system also utilizes flexible, autoclavable tips. This improved usability speaks to the hallmarks of DEXIS imaging solutions of ease-of-use and patient comfort. This new system employs near-infrared light which, in images, turns the natural tooth transparent and the caries dark similar to radiographs, and thus, in a view that is familiar to clinicians. Not only are CariVu images easy to read and understand, they are captured and stored with the patient’s other images. Since all intra-oral X-rays, camera and CariVu images for the select tooth appear side-by-side, the clinician can quickly compare them to make a diagnosis and decide on a course of treatment. These images can be shared with patients so that they may better understand the need for preventive or restorative care. The technology behind CariVu offers an advantage in diagnosis of caries over systems that rely on fluorescence reactions which is typically denoted by colors or numeric values. In laboratory testing on the comparison of these two technologies, this new transillumination device showed that the view of the lesions on the images correlated well with their actual physical conditions. Thus, with CariVu, the dentist gains a more accurate view of the actual carious lesion’s shape and size, not just an indication of the presence of decay. DEXIS is an industry leader in developing high quality digital imaging solutions for the dental community. In 1997, DEXIS introduced digital radiography on laptop computers — making it the first truly portable and affordable digital X-ray system. In 2001, DEXIS® became the first intra-oral digital radiography system to be accepted by the American Dental Association into the highly prestigious ADA Seal Program. Today, DEXIS is the most highly awarded intra-oral digital X-ray system with numerous awards from dental researchers and well-respected dental publications. For more information on the DEXIS Imaging Suite of software products and the DEXIS® Platinum Sensor, visit www.dexis.com. I know tons of you use Dropbox. It has become the default "go to" place for lots of people who are swapping files, giving access for business, or just flat out storing things you'd like to have access to from anywhere you happen to be. Dropbox has done a great job of this. Tons of people use and rely on the service every day. In fact, I've had a lot of people tell me over the past year that they don't know how they got along without it and they don't know what they'd do if Dropbox ever disappeared. The company has done a really good job of allowing easy to use uploads, downloads, and file transfers between users. Dropbox is so easy, it's almost hard to believe. Since so many of you use and are dependent on Dropbox, I thought I'd pass along the following announcement that I received (because I'm also a Dropbox user). With the way the world is, many of you may either delete this without reading it or it might just end up in a Spam folder. Because of those possibilities, I thought I'd post the notice here as a public service. If you have any questions about these updates, you can read more on our blog or email us at tos-questions@dropbox.com. If you have any questions about these updates, you can read more onour blog or email us at tos-questions@dropbox.com. DenMat, the Makers of Lumineers, Acquires Substantially All Dental Assets of Zila, Inc.
As I tweeted yesterday, sources at Denmat confirmed that the company has acquired the assets & products of Zila including their line of diode lasers. LOMPOC, Calif., Feb. 20, 2014 DenMat, a leading manufacturer and distributor of innovative esthetic dentistry and advanced oral health solutions for dental professionals, announced today that it has acquired substantially all dental assets of Fort Collins, CO based Zila, Inc. Zila manufactures and markets to dentists and hygienists a portfolio of proprietary oral hygiene products dedicated to the detection, prevention and treatment of gum disease, and the management of oral health. Building upon a broad range of dental equipment, materials, and esthetic lab services, DenMat will integrate Zila's soft tissue and oral hygiene-focused products into its expanding portfolio. These products, which include Rotadent® professional power toothbrush, Atridox® antibiotic for treatment of periodontitis, soft-tissue management essentials, and a line of soft-tissue surgical lasers, will enable DenMat to offer to dental professionals a one-stop-shop for preventative soft-tissue management and enhanced oral hygiene. "This acquisition is a major milestone for us," said Steve Semmelmayer, CEO of DenMat. 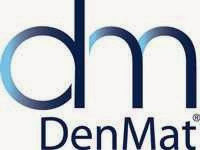 "DenMat is not only acquiring a trusted line of professional oral hygiene products but is also expanding its North American sales and customer care team to support this significant product line growth and entry into the oral hygiene market. Zila's products are a perfect fit with DenMat's current suite of oral health and esthetic solutions that help dentists and hygienists provide the highest standard of patient care." Building on its goal to offer dental professionals a broad range of high-quality choices, DenMat's addition of Zila's products follows DenMat's recent acquisitions of restoratives and impression products from Royal Philips Electronics, including Splash® and Precision® impression materials, Vanilla Bite™ registration material, Perfectemp® crown and bridge material, and Flashlite™ curing lights. Similarly, DenMat recently acquired PeriOptix, Inc., a California-based company known for high-quality magnification and illumination technologies for dental and medical professionals. David Speights, CEO of Zila, Inc. stated "We are thrilled to know that the legacy of Zila's products will continue on with such a strong and well-respected global dental organization in DenMat." Certain Zila operations including sales, marketing, R&D, and manufacturing are expected to move to DenMat's facility in Lompoc, California by April 2014. DenMat has secured additional operations space near its 100,000 square foot Lompoc world headquarters. About DenMat Holdings, LLC: DenMat Holdings, LLC is a leading provider of cosmetic, restorative and clinical product solutions that help dentists deliver exceptional smile enhancements. Serving more than 86,000 dentists worldwide, the company's portfolio of professional products includes award-winning restoratives, cements and adhesive materials. Innovative products and new distribution partnerships continue to position DenMat at the forefront of the dental industry―from Lumineers®, the most patient-requested thin veneers in dentistry, and Snap-on Smile®, to innovative diagnostic and clinical solutions including VELscope® and PeriOptix®, as well as noted brands like the Flashlite® Magna 4.0 curing light and Splash!® VPS impression materials. DenMat's Lab is recognized as a leading laboratory for both minimally invasive and traditional-preparation restorations, while DenMat Education offers continuing education programs for the dental industry. For more information, visit www.denmat.com or call 1-800-4DENMAT (1-800-433-6628). About Zila, Inc: Based in Fort Collins, CO, and with manufacturing facilities in Batesville, AR, and Fort Collins, CO, Zila is a fully-integrated, oral hygiene company dedicated to the identification and marking of abnormal oral lesions suspicious for pathology, the detection, prevention and treatment of periodontal disease, and the management of oral health. Zila designs, manufactures and markets a portfolio of proprietary products sold exclusively and directly to dental professionals. All Zila products are proudly made in the U.S.A. For more information about Zila, visit www.zila.com. WATERTOWN, MASSACHUSETTS February 20, 2014 —Dental professionals have become accustomed to seeing bold claims made on behalf of dozens of new dental products each year, yet few if any of those products end up living up to their promises or making a meaningful impact on the practice of dentistry. Every so often, however, a new product line truly deserves to be called a “breakthrough.” ACTIVA restorative and base/liner, which were launched today by Pulpdent Corporation at the Chicago Dental Society Midwinter Meeting, are one such product line. Up until now, the materials available to dental professionals for restoring a tooth have done little more than plug a hole. Amalgam, composite and glass ionomer restoratives have had little in common with the tooth structure they replaced other than the shape and perhaps the color. 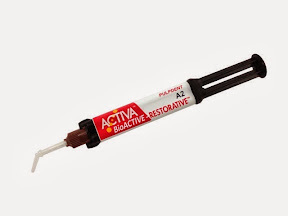 Now ACTIVA bioactive restorative makes it possible to create restorations that actively release and exchange calcium, phosphate and fluoride ions while being dynamic with the function of the tooth. • Delivers amazingly life-like aesthetics. • Functions like real tooth structure by absorbing and dispersing forces to deliver exceptional strength. • Seals with unmatched marginal integrity. • Requires no bonding agents. • Contains no Bisphenol A, no Bis-GMA and no BPA derivatives. The key to performance of ACTIVA products is the fact that they are formulated with a bioactive resin matrix and bioactive fillers. In fact, ACTIVA is the only product the U.S. Food & Drug Administration has allowed to make this claim, which means that ACTIVA represents an entirely new category of bioactive dental products. ACTIVA products are also the first bioactive dental materials with an ionic resin matrix, a shock-absorbing resin component, and bioactive fillers that mimic the physical and chemical properties of natural teeth. They are durable and wear- and fracture-resistant, chemically bond to teeth, seal against bacterial microleakage, and release and recharge calcium, phosphate and fluoride ions with the surrounding teeth. For more information about ACTIVA products, please visit www.activabioactive.com. 1. Fluoride ion release and recharge over time in three restoratives. University testing. Accepted for publication. Accepted for publication AADR 2014. 2. Zmener O, Pameijer CH, Hernandez S. Resistance against bacterial leakage of four luting agents used for cementation of complete cast crowns. Accepted for publication Am J Dent. 3. Zmener O, Pameijer CHH, et al. Marginal bacterial leakage in class I cavities filled with a new resin-modified glass ionomer restorative material. 2013. 4. Flexural strength and fatigue of new Activa RMGIs. University testing. Accepted for publication. Accepted for publication AADR 2014. 5. Deflection at break of restorative materials. University testing. Submitted for publication. 6. Comparison of Mechanical Properties of Dental Restorative Material. University testing. Accepted for publication. AADR 2014. One of the reasons I'm such a huge fan of social media is the ability to keep you all informed of changes and happenings in the world of both dentistry and technology. It's been my goal for as long as I've had an online presence that I would try my best to share info with you as quickly as possible. Now in case you didn't know, this week is the week of the Chicago Dental Society's MidWinter Meeting. Many people in the industry look forward to this meeting because over the years it has acquired the reputation of being a showcase event for companies bringing a new product or new products to market. Frequently the booths of the MidWinter Meeting are crowded with doctors and industry followers hoping to catch a glimpse of "the next big thing". Over the years the MidWinter has seen product announcements like the Gendex CB-500 cone beam device, Curve Dental's cloud software capturing digital x-rays through the browser & into the cloud, and lots of other game changing products. This year promises to be another banner year for new products and this is where I'm hoping to help along with social media. My Twitter feed is setup to cross-post to my Facebook account. Basically anything I tweet will also end up on my Facebook page. While I'm in Chicago I'm hoping to keep you all informed of product announcements by tweeting whenever I have something interesting. So… stay tuned to my Twitter feed for all the latest and greatest from the Chicago MidWinter Meeting. I will be posting as frequently as possible, but my goal is to provide cutting edge information for those of you who are at the show & looking for the latest and greatest. However, if you happen to be someone who didn't get a chance to make the meeting this year, I hope to provide info to you on products that might interest you as well. Feel free to reply to my Tweets or ask questions if you are so inclined. This meeting is always one that keeps me busy from the time I get up until the time I hit the sheets, but I'll do my best to reply back and answer questions when possible. For more info on this press release, see the Q&A from my magazine home Dental Products Report. Washington, DC – Feb 20, 2014 – Henk van Duijnhoven, Senior Vice President of Danaher’s Global Dental Business announces the formation of the KaVo Kerr Group, a global portfolio of leading dental brands and the designation of Danaher’s $2B global dental business. KaVo Kerr Group strategically unites leading dental consumable, equipment, high tech and specialty brands under one global platform. KaVo Kerr Group is a global dental business with over 500 years of combined experience. Their products and services primarily serve the general practitioner, dental specialist, hygienist, institutional and special markets customers. KaVo Kerr Group brands include KaVo, Kerr, Kerr Total Care, Pentron, Axis, Sybron Endo, Orascoptic, Pelton & Crane, Marus, DCI Equipment, Gendex, DEXIS, Instrumentarium, SOREDEX, i-CAT, NOMAD, Implant Direct and Ormco. The portfolio of brands is uniquely interconnected by common values of trust, experience, choice, quality and smart innovation. Each KaVo Kerr Group operating company will continue to market themselves under their current brands and go-to-market strategies with firm commitments to their customers and local markets. KaVo Kerr Group and its brands are distributed in virtually every dental market in the world including North America, Latin America, Europe, Middle East, Australia and Asia Pacific. “KaVo Kerr Group will continue to be offer a broad portfolio of dental brands with a unique combination of consumable, equipment, high tech and specialty products and services,” says van Duijnhoven. KaVo Kerr Group is a global portfolio of dental brands and operating companies that share common values of trust, experience, choices, quality and smart innovation. Brands include KaVo, Kerr, Kerr Total Care, Pentron, Axis, Sybron Endo, Orascoptic, Pelton & Crane, Marus, DCI Equipment, Gendex, DEXIS, Instrumentarium, SOREDEX, i-CAT, NOMAD, Implant Direct and Ormco. With over 500 years of combined experience and proven solutions, KaVo Kerr Group uniquely serves the dental profession. If, like me, you've ever been in a situation where you need a Google Map that you've accessed before, but have no Internet connection to get it again, this is great little trick to know. I've had those rare occasions where I *need* a Google Map & I either don't have Wifi or a cell signal or something. Basically I need the map, but as fate would have it, there is no way for me to connect and get it. That's all there is to it. You should then get an indication that the map is downloading. You should then receive a message that tells you the on-screen map is in your cache. After you've done that part, the next time you open Google Maps, you should be able to access the map as well as browse it. Pretty cool huh? I still remember a trip a couple of years back. I was going to visit an office in Alabama to help them with some technology stuff. The Hertz folks didn't have a car with GPS and as I was driving (using my phone for mapping) I suddenly went into a black hole of no cell coverage. I was stuck there for about 45 minutes. I was lucky in that when the signal came back, I hadn't missed any turns & was mildly close to my destination, but it could've really been bad. Suffice it to say I'll be using the above little trick a lot in the future. For all the info on this, check out the great article by Pranav Dixit on Wired. On February 7th, I was lucky enough to be able to lecture to the good people of the Santa Barbara-Ventura County Dental Society. I gave my lecture on "Day to Day Technology to Improve Your Practice" and I had a great time! I love giving this program because it allows me to talk about all kinds of technology that I use in *all* aspects of my life. Not just in my dental practice, but in my car, my home, basically anything that makes my life easier through technology. I'm really honored to be asked to speak to groups like this and, as always, I got a lot from the group as well. It's especially fun when I cover things like apps I use for all kinds of organizational things. There were several "gear heads" in the audience that love this stuff as much as I do and offered apps that I could tryout. That kind of sharing and learning is one of the best things about what I do. I also got to fly in and out of Bob Hope Airport in Burbank which is a great little airport that was easy to get in and out of. For those of you who were thee, thanks fro coming out & making it a great day!!! For years now, DEXIS has been at the forefront of innovation in the world of digital radiography. It has a passionate and loyal group of users and a strong R&D team. Anytime someone asks me to help with their decision about implementing digital, I always tell them that DEXIS should be on their short list of *must see* companies. DEXIS continues to add to its honors with The Dentists’ Voice 5-Star Peer Review Award for the DEXIS® Platinum Digital Intra-oral X-ray System! Hatfield, PA (February 11, 2014) DEXIS is very pleased to announce its 2013 win from The Dentists’ Voice, a dental products review portal dedicated to dental healthcare providers, which can aid in making an informed choice regarding an investment in dental equipment. The annual 5-Star Peer Review Award is bestowed upon the dental products which have an Overall Performance rating of 4.6 or above based on reviews posted during the calendar year. In response, Carsten Franke, Sr. Director of Marketing for DEXIS, stated, “We extend our gratitude to those dental professionals who have provided their reviews on The Dentists’ Voice. Recognition from the dental community is always especially meaningful to us.” Complete reviews can be seen at www.thedentistvoice.com/dexisplatinum. Offering a true peer-to-peer informational experience, the site’s objective review process provides a way for dentists to learn from other dentists’ experiences with products and services. Reviews are only accepted from dentists, hygienists, and other team members who use the products and services every day in their offices. Each review source is verified prior to posting to ensure that there are no anonymous sources. The review is unbiased, and companies are not invited to fund their products and services listed. For more information on The Dentists’ Voice, visit www.thedentistsvoice.com. As regular readers of the blog know, I spend a fair amount of time in airports and... consequently in airplanes. While it isn't nearly as glamorous to travel as one might think it is, I'm grateful for those in the airline business. It has got to be tough dealing with customers who are stressed, confused (if they don't fly often enough to know all the rules), and very often frightened. Even though the riskiest part of air travel is the car ride to the airport, many folks are extremely frightened to fly. Fortunately I have no fear of flying and I'm also blissfully aware of how safe the industry is. However, in the past few years there has been a safety issue that's occurred which directly affects everyone on board & has nothing to do with the flight crew or plane maintenance. I'm talking about the growing number of ground based laser attacks on cockpits. 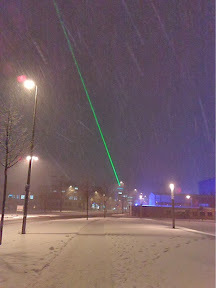 As research and development in the field of lasers has progressed, powerful handheld lasers have become plentiful and relatively affordable. This has lead to idiots on the ground pointing them into the sky directly at approaching air traffic. In 2013 alone, there were 3960 reports of laser "attacks" from pilots to the FAA. These situations can result in potential eye damage to the flight crew as well as endanger the passengers as well. Does anyone want blond pilots trying to land a plane? the FBI announcing a reward for info leading to perpetrators of these stupid attacks. With upwards of 11 of these attacks happening every day, it's only a matter of time before something really tragic happens. This stuff has got to stop!!! San Antonio, TX – February 10, 2014 – Ritter Dental USA will be introducing an expanded line of handpieces at booth # 4025 during The Chicago Midwinter Meeting from February 20th – February 22nd. The Ritter handpiece line features air-driven high speed, low speed and fiber optic-equipped options and includes a variety of accessories such as replacement motors, prophy heads, quick-connect couplers, nose cones, and contra angles. Dental clinicians can find out more about Ritter’s expanded handpiece line at booth # 4025 during the Chicago Midwinter Meeting. Details are also available atwww.RitterDentalUSA.com, by emailing info@RitterDentalUSA.com, calling toll-free at 855-807-8111. Based in San Antonio, Texas, Ritter Dental USA is the sister company of Ritter Concept GmbH, which is headquartered in Germany and designs and manufactures, world-class dental equipment that includes treatment chairs, stools, operatory lights, autoclaves, air compressors, suction units, instruments, intraoral cameras, handpieces;/ and implants. For more details visitwww.RitterDentalUSA.com. Follow us onFacebook,Twitter,LinkedIn,YouTube andGoogle+. Ever felt unending stress from success? Well it seems that Flappy Bird creator Dong Nguyen has. He announced via Twitter that he would be taking the game down Sunday. He stated "I'm sorry Flappy Bird users, 22 hours from now, I will take Flappy Bird down. I cannot take this anymore. It seems the game that has garnered 50 million downloads and was generating something like $50,000 dollars per day in ad revenue was just too much for him. Here is a pretty slick software offering from Amazon. It seems that the company has updated its iPhone App to include a new feature that Amazon is calling Flow. It works like this: You don't take a photo, but instead simply use the camera on your iPhone. As you hold your iPhone up to an object, the image on the screen is analyzed by the Flow software and compared against a database of known images. When an item is recognized, it is placed into a queue that can be added to your Amazon cart. Amazon is hoping to use this (obviously) to make purchasing from them more convenient and just downright easier. Imagine you use the last of an item, simply hold it up to your phone and then get ready to re-order. What about shopping in brick & mortar stores? An app that can quickly (within a few seconds) identify the product you are holding & give you a price is a great advantage. I'm anxious to get this on my iPhone & gave it a whirl. I'm a huge Amazon fan… they are probably one of the places I shop the most. With the ability to rapidly compare prices, this is just the kind of thing I've been looking for. As a diehard geek it's hard *not* to be a fan of Bill Gates. As an innovator the guy flat-out changed the world. His competition with Steve Jobs at Apple and his desire to make Microsoft the number 1 computer software company on the planet are the principal reasons technology is where it is today. About 17 years ago Mr. Gates stepped away from day-to-day operations at Microsoft to focus on his charitable foundation and on using his incredible wealth is to fight diseases and help those less fortunate. While he was gone, Microsoft languished and became an also ran in the world of technology's heavy hitters. The company, which was at one time one of the most innovative and successful in the world began to be viewed through the lens of being past its prime. As Microsoft struggled, Apple and Google stepped forward with amazing amounts of innovation and fanfare as they delivered several new and industry-leading products. Frequently after Apple and Google would announce one of these products, Microsoft would step forward a few months later and announce a “me too” product that was always a step behind the industry leader. The iPod change the way we listened and purchased music. Microsoft's competitor product the Zune was clunky, not as easy to use, and definitely lacked the cool factor of Apple. There are lots of other examples. Love him or not, there is no question that while Bill Gates was in charge of Microsoft those types of situations rarely developed. Microsoft was known as an innovator and industry leader in many ways. So, I personally find it pretty exciting that yesterday Microsoft announced that Mr. Gates has returned to Microsoft with the title of “founder and technology advisor” and his job description is “shaping strategy and product direction”. He will be back at Microsoft 3 days per week. Most of Microsoft's thousands of employees still look upon Mr. Gates as an iconic figure and I'm sure are excited about his return. The announcement alone has had to have provided a much-needed shot in the arm to morale companywide. Personally, I'm very excited to see what this means for Microsoft and innovation. Competition is good. We *need* competition to help spur innovation that we all benefit from as end users. Here's hoping that Mr. Gates still has that magic. I for one, am betting that he does. Washington Crossing, PA – January 29, 2013 – Dr. Charles Whitney recently named Lisa Wadsworth, RDH, BS as the director of operations for his medical practice, Revolutionary Health Services, located in Washington Crossing, PA. In this role, Wadsworth will be responsible for day-to-day operations of Revolutionary Health Services, as well as patient education, employee training, professional relations among area businesses seeking employee healthcare alternatives and being a liaison with allied healthcare providers. Revolutionary Health Services has the distinction of being a Direct Primary Care practice which means that the physician has a financial relationship with the patient in return for providing that patient with more personalized, proactive and optimal care. According to Dr. Whitney, “I believe Lisa will prove herself to be invaluable to Revolutionary Health Services, because of her proven success in employee training, patient education and Practice management. In addition, her clinical experience on the front lines of fighting periodontal disease will help me bridge the gap between oral and systemic health.” Specifically, Dr. Whitney says Wadsworth will be instrumental in helping him educate his patients about the dangers of untreated periodontal disease – particularly those he is currently treating for cardiovascular disease, diabetes, arthritis and other serious conditions. board certified in the specialties of family medicine and sports medicine. His experience includes seven years as an Air Force physician and seven years in the University of Pennsylvania Health System before establishing his own direct primary care practice, Revolutionary Health Services in 2003. For more information, visit www.RevolutionaryHealthServices.com. Follow Revolutionary Health Services on Facebook. About Lisa C. Wadsworth, RDH, BS. Lisa’s career has been focused on coaching the entire dental team on periodontal protocol, implant dentistry, and ergonomics. With over three decades of experience, Lisa began her career as a dental assistant, progressed to certification in implant surgical assisting, a degree in dental hygiene, and a BS in psychology. Lisa has received Fellowship status with the Association of Dental Implant Auxiliaries, is recognized by Hu-Friedy as a Thought Leader, and by Sonicare as a Key Opinion Leader. Lisa’s articles have appeared in dental publications such as RDH Magazine, Dental Assisting Digest,The Profitable Dentist, and Dentistry Today. She lectures frequently on the above topics and has been included in Dentistry Today’s CE Leaders issue for 7 consecutive years. Google Glass is coming. It won't be long before the wearable computing platform is available for all of us to purchase. However, since its inception there has been one criticism leveled at the computing platform, and it's one I completely agree with. Despite the fact that is worn as a pair of glasses, Google Glass has never been able to handle prescription lenses. That is, until now. Google has announced that users of the device that is currently in beta testing will now be able to order prescription ready frames in 4 different styles. There are also 3 separate sunglass styles that will also attach to the Glass lenses. The new frames appear to be pretty stylish which will also help Glass go along way to social acceptance. Because let's face it, only a geek like me would want to put an ugly glasses type computing platform on their face. If you really want the masses to adopt this, it's got to be cool. And cool means looking good and being something people * want* to wear. Google has even gone so far as to train optometrists to attach the Glass hardware to the new frames. If a user doesn't feel comfortable doing it themselves, there will be professionals that will be able to lend a hand. So this is all interesting and looks pretty cool for the world of Glass that we are about to enter sooner as opposed to later. I can't wait to get my hands on one of these things. I'll bet a lot of you can't either.